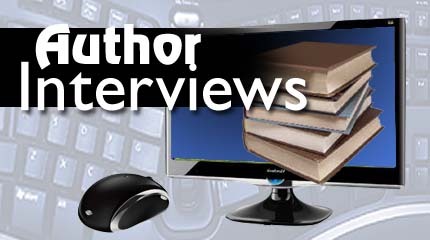 ﻿ JDSP TV - Author Interviews! 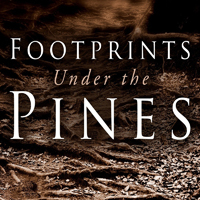 Editor's note: Ms. Miller supplied a few questions of her own regarding "Footprints Under the Pines", along with your questions! What is your writing process like? Do you map the whole thing out, or do you just let it unfold? I see the opening scenes, I see points along the way and I see the ending. Sometimes, however, the characters take the lead and things change. Grandpa was a lumberjack. Present family works in the lumbering world. Although much is known about brawling in the towns, little is known about life in the camps. the 1890’s lumber camp where Katherine must find her way in a man’s world. There is considerable of me in the characters. Katherine is a motherless child as I was. Both she and Hannah experience the sense of not belonging. Retired, children grown and gone, husband considerate of need for time. Evenings as well as other times are ours to spend together. What breaks you out of a creative slump? Things come to me in the night while I lay awake considering the mess my character is facing. Sometimes I just sit down and force myself to write until the juices begin to flow. Do you ever censor your writing to avoid offending or displeasing people? Is there a story you want to tell but avoid because it would be too controversial? How can you write an honest autobiography without offending people who recognize themselves? Haven’t considered writing an autobiography. Circumstances have thrown me into difficulties from the time I was young. Lost mother at age 3, lived with more than 9 families before 9. Etc. but the project seems too immense. How do YOU build or create an effective platform to reach your audience? I am comfortable before people. I speak when opportunity presents itself. Do some online work. Publicist: DocUmeant Designs. Go to conferences – Work with local writing groups – write for local newspapers and groups. Participate in public activities where you can get your name before people. Why an 1800s lumber camp? To give a true glimpse into daily life of the camp itself. Why place a woman here? Although women weren't usually found in the camps, there were some, especially as cooks. Then too there were shacks where some men lived with families. Is our perception of the brawling 1800s lumberjack correct? In some ways, however, inside the camp men were simply too tired or too busy. And although some rot gut was smuggled in, camp bosses banned it in camp. a. 1875 Silas Overpack invented the big wheels. It was a device that made it possible to do logging in the summer. b. I’d have liked to include more about the river drive. c. And then there was the Cruiser who was sent to remote places looking for new stands of timber. d. And the summer watchman who spent long summers alone watching over the camps. So very much that couldn’t be included in a single book. Did early lumberjacks ravage the forest? Why glorify it? They did but we have learned from their example. How did they impact today’s industry? What is your message to a world in turmoil? Rise to the occasion and overcome. Is there hope for our world today? Conquer treachery by looking forward and doing what needs to be done. can help you bring your video vision to life... on TV, DVD or the web.